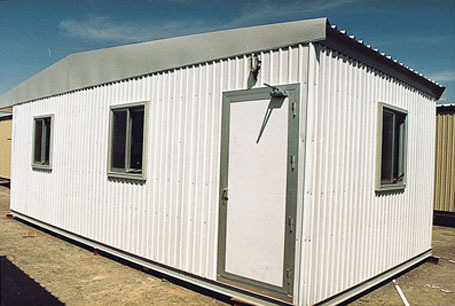 Every unit is made of steel frame, (Chassis), Roof, False Ceiling, Floor, Walls, Windows, Doors, With all electrical and sanitary connections, and all are fixed in the Factory. Illustrating photos are followed to clear of our specifications. Is made of steel I beams size 12 cm with beams at equal distance along the short direction, and beams at equal distances along the long direction. The chassis is supported by I beam legs. The number depending on the length of the unit. 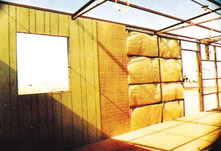 Walls are made of steel frame fabricated from steel tubes 4x4 cms covered from outside by pre painted corrugated steel sheets 0.5 mm. Internal cover is 6 mm. plywood and 3 mm. decorative plywood sheets. Walls of wet areas will be covered by water proof decorative plywood. 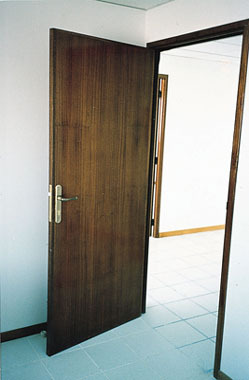 and exit doors and 0.75x2.00 m. for toilets and kitchens.